Upon arrival (approx.6:30AM), our local guide will pick you at Lao Cai Station and transfer to Sapa by private car with the distance of 38kms. Have breakfast in loacal restaurant and check in hotel. The balance of the morning is at leisure. After lunch, our guide will pick you up at 14:00PM for diving uphill to Silver Waterfall and then onto Tram Ton Pass – the highest mountain pass in Vietnam with 1,800m above sea level. 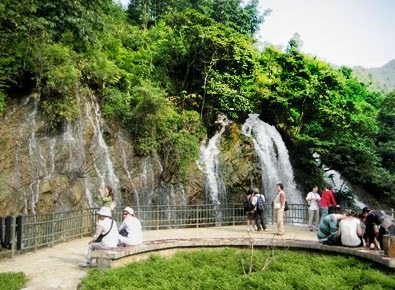 From there you can enjoy the manificient view of Hoang Lien Moutain range as well as specular view of landscape. In the late afternoon, diving back to Sapa. Free time in the evening. Starting the morning by driving from Sapa town down to Lao Chai village. You can meet many ethnic group (H’mong,Dao,Tay) and enjoy view of Muong Hoa valley on the road. 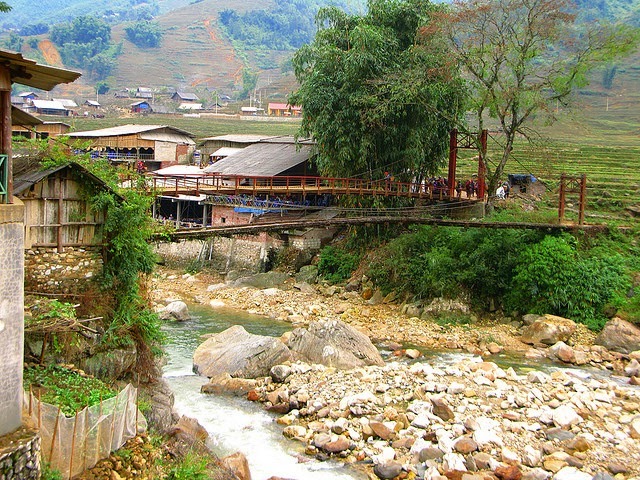 We turn off the main road and take a local path to Lao Chai village – a village of H’mong ethnic. Keep trekking further to reach Tavan village, which is supposed to be the most beautiful village in this area. You also can talk with Day ethnic to learn about their daily life. Have lunch there with local family. In the afternoon, we walk to meeting point to transfer back Sapa by car. Free time in the evening. After breakfast, our guide will meet you to drive to Ma Tra Village. From the start trekking point, we head to Ma Tra village where H’mong people living. 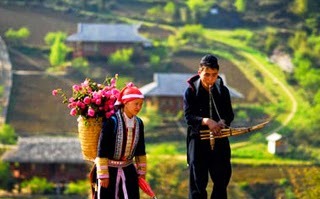 Then continue trekking further you will reach to Ta Phin – a village of Red Dao ethnic. Have lunch there with local family. You can enjoy tranditional Red Dao herbal bath there, which made from many tranditional medicine leaves to relax yourself after long trekking. In the afternoon, let say goodbye to Red Dao ethnic and transfer back to Lao Cai Staion for night train to Hanoi. The train departs at 20:45PM and arrives Hanoi at 5:30AM in the early morning. Tour finishes. Overnight train in shared sleeping compartment (2 uppers & 2 lower berth in per compartment). Private compartment with 2 passengers in per cabin on request at surcharge.